Te Papa is New Zealand's bold and innovative national museum and a recognised world leader in interactive and visitor-focused museum experiences. As well as being a six-level museum that showcases New Zealand's national art and treasures, it is also a unique conference and events venue that combines serious business with outstanding hospitality. The stunning waterfront location puts Te Papa at the heart of Wellington and provides plenty of natural light and lovely harbour views. Te Papa is close to all major hotels and public transport and offers plenty of onsite parking, so your guests will find us easy to get to. You will enjoy the unique experience of conferencing at Te Papa, with state of the art conference rooms in the heart of the city, and the cosmopolitan atmosphere of the Museum. 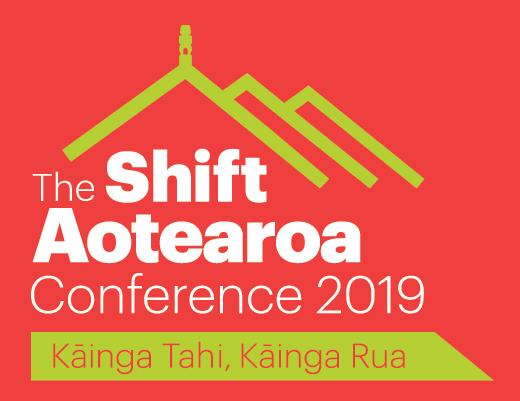 Te Papa offers you the opportunity to combine unique museum experiences while you're at The Shift Aotearoa 2019 Conference. Te Papa's premier large venue space will host the Gala Dinner. There is no private function room or event space in Wellington quite like this—a mighty room at the heart of Te Papa, six storeys high with granite floors and a huge circular window framing ever-changing views of the city. It is unbeatable. Wellington has an extensive network of bus routes. For timetable information for bus contact Metlink on 0800 801 700 or visit metlink.org.nz. Uber and Zoomy also operate to and from the airport - you need an account and must order your car from your mobile phone - the cost is approx $25. Taxi ranks can be found directly outside the baggage claim area on level 0 of the main terminal. It might cost approx $35-$40, but prices can vary quite a lot depending on the company. They all take VISA and master card. Tips are not expected. Airport Flyer Bus is an express bus service that runs from Wellington International Airport to the Hutt Valley, through the centre of Wellington, on to Queensgate - Lower Hutt. The service runs at least once every 20 minutes, every day between the Airport and Lower Hutt. Airport Flyer departs from the southern end of the airport terminal, level 0 (exit from baggage claim doors on level 0 and turn right) and the cost to get to the city is $9 per person. Super Shuttle’s shared-ride fares offer substantial discounts for passengers travelling in the same group to the same destination. Shuttle ranks can be found directly outside the baggage claim area on level 0 of the main terminal.